The sequel to MiFID I represents a significant increase in data and complexity for transaction reporting. London, 30 April 2015 – The Markets in Financial Instruments Regulation, scheduled to come into force in January 2017, extends the scope of required reporting from equity and equity-based instruments to nearly all other asset classes and increases the number of fields for transaction reports from 24 to 81. 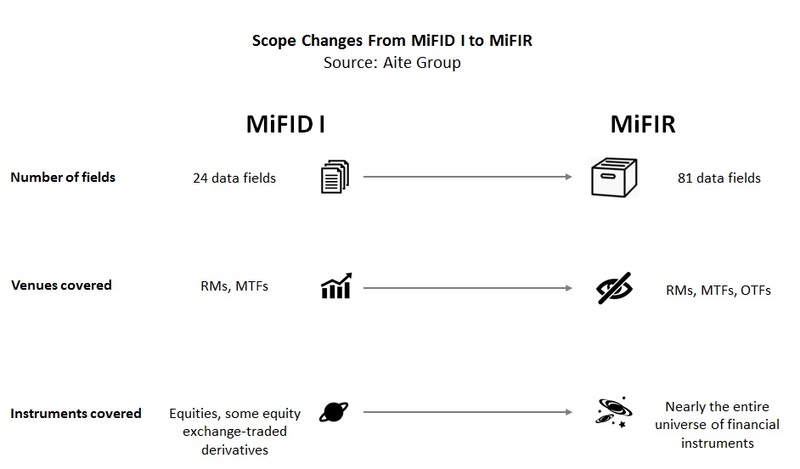 Likely to overlap with other key pieces of regulation impacting the derivatives, securities finance, and commodities markets, MiFIR’s impacts will be neither meek nor mild. This research, based on Q1 2015 conversations with market participants and regulators, highlights some of the new reporting regime’s key impacts and the operational challenges that buy-side and sell-side firms are likely to face due to these incoming requirements. This 29-page Impact Note contains nine figures. Clients of Aite Group’s Institutional Securities & Investments service can download this report.